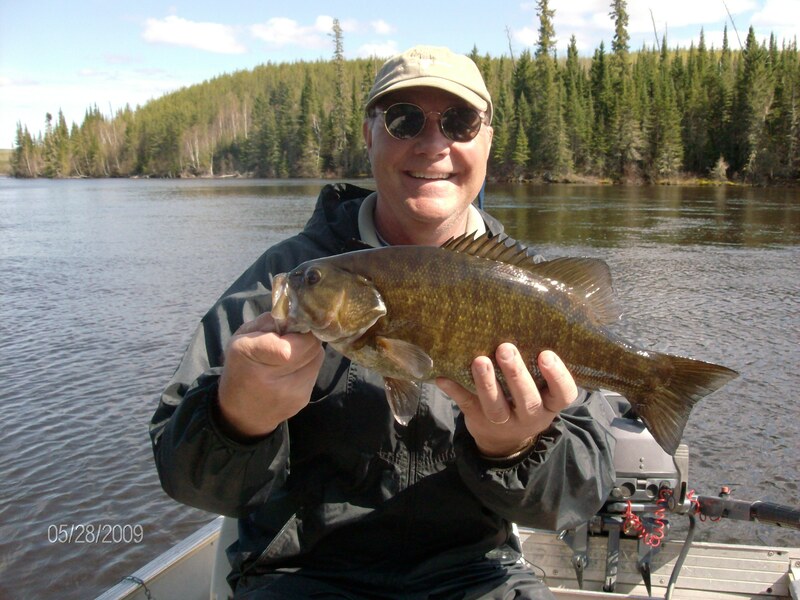 Northern Ontario is famous for its trophy smallmouth bass fishing. The rocky lakes of the Canadian Shield create a perfect environment for not only large trophy smallmouth bass but great numbers. They love the rocky clear lakes with little vegetation and inhabit shoreline rocks and points, as well as offshore shoals, often in deep water. At Walsten Outpost we will take you to the beautiful Canadian wilderness as we fly you in to your remote lake. We have three lakes that hold smallmouth bass - Roger Lake, Trout Lake and Separation Lake. So if you are looking for big smallmouth bass than either of these two lakes is your best bet. Pound for pound, smallmouths are considered the hardest fighting fish in Canada and get air-born virtually every time you hook one. Come see what fishing for smallmouth bass in Canada is all about.